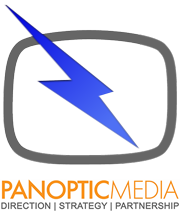 When Cintas Corporation was looking for a high-concept piece to send out to small and medium sized businesses, they turned to Panoptic Media to help the find a big idea and to execute that big idea effectively. We came up with “The Power of the Uniform”. This ‘high concept’ idea allowed us to tie-in the idea of a uniformed professional to Cintas, already recognized as a world leader in uniforms. By using this metaphor, we were able to leverage sports uniforms, police, medical professionals and others who are easily and clearly identified through their uniforms.